Last year was fantastic for markets. Almost everything went up – except gold, which had its worst annual showing since 1981. Japan was the standout, rising more than 50%, and the US delivered a healthy 25% gain. What is in store in 2014? I have always said that the recent economic woes started with the US housing market and there will never be a true recovery until we see progress there. And progress there is, with more than a million new homes being built – 30% more than a year ago. The World Bank expects the global economy to grow by 3% this year – with almost half of that growth coming from just two countries – the US and China. Those countries have real challenges though this year. Profit margins in US companies are at record highs (predominantly through lower wage costs) likely to revert this year as unemployment falls. China may be doing well but much of its economy remains dependent on a credit bubble that its leaders need to carefully contain. Elsewhere, the UK housing market is dependent on the lowest interest rates for 300 years continuing, the European problems are far from fixed and the emerging markets are continuing their run of poor performance (notably Turkey), believe Japan, UK, Europe and Russia carry real opportunities for 2014, whilst I am cautiously optimistic on China and feel the attractive yields offered by energy firms will support valuations. Every client is different, and his or her perception of risk is different. We look forward to working closely with clients and Discretionary Fund Managers, to ensure our clients have access to the very best investment management in what will be an exciting year. Knightsbridge Wealth advises two key groups of clients: Firstly, those from all over the World who recognize London as a well-regulated and respected financial centre, and who want to have a portion of their wealth managed here; Secondly, those who move to London, either for the short term or long term, require specialist advice – including investment, tax, housing and immigration. For both groups of clients, this promises to be a busy year. We are launching ‘Wise Wealth’ and our ‘Gift Book’ services; we have a comprehensive travel schedule to reach out to clients who do not frequently visit London; and there will be significant tax changes for international clients owning property in London, requiring careful advice and planning. We look forward to working with you in 2014. All major banks and investment groups publish regular market reports, which make fascinating reading. However, it is important to always relate market intelligence to individual situations. As our strategic partner, we use UBS as our primary source of market intelligence and will make appropriate bulletins available to all clients. However, all clients like to hear the views of our leadership team so, Alexander Wade gives his quick view on how topical asset classes fit in a client portfolio. Raw Materials had a poor 2013, with the Dow Jones/UBS Commodity Index falling by over 10%. Although the IMF (International Monetary Fund) expects growth to hit 3.6% this year (up from 3%), it is still far lower than the average of 4% in the ten years before the credit crisis. There is potential for a sharp slowdown in China (the key driver of commodity demand). Further pressure will come from the Dollar’s strength, making commodities more expensive since they are mainly priced in US Dollars. Aluminium is oversupplied and copper is also abundant. Mining stocks, however, have priced in much of the bad news and may be worth buying. In the long run, a shortage of arable land, population growth and changing diets in the emerging markets all point to higher agricultural pricing of soft commodities. US output is expected to increase to all time highs in 2016, and Iranian and Libyan oil is set to return to he market. Demand growth is unlikely to be spectacular so prices are likely to fall. Deutche Bank expects Brent crude to fall to $110 a barrel now to $97.50 over 2014. Industry is switching to clean-burning gas and their prices have jumped amid recent cold weather. Therefore, while the oil price outlook is negative, gains are likely for gas. The price of bonds falls when interest rates rise. Various types of debt had a losing year in 2013 since long term interest rates climbed in some markets. Analysts expect less money printing and an eventual interest rate increase by central Banks. Government Bonds remain expensive, as do some corporate and, especially, junk bonds. Avoid. London prices rose 10.6% in 2013 according to Land Registry figures, whilst the UK average rise was just 3.2%. The raw figures mask declines in the north of England. Prices are 4.8 times the average, national wage – compared to an average of 4 times, over the last 30 years. Property investors will find better value in the commercial property sector, or in the US and Germany. Gold fell more in 2013 than at any time in the last 30 years. Silver did even worse, losing 36% to $19 an ounce. Investors should look to gold as a long term insurance policy, with perhaps a 5% weighting, rather than a growth play. Silver mimics and magnifies gold movement, and its outlook remains negative. Stocks had an excellent 2013 and are likely to progress further this year, although less spectacularly. Europe and Japan look attractive. Emerging markets will struggle and political risk is particularly evident in Turkey and Thailand. Exceptions, include Russia, where valuations are extremely attractive, and export orientated markets, with stable politics, including Mexico and South Korea. Emerging markets have had a tough time recently, leaving many to conclude that many of those markets have actually ‘emerged’ and carry the same issues as more mature markets, such as rising wage bills and a growing, and expensive, regulatory regime. The enormous number of emerging market funds is testimony to the fact that this area, once the reserve of the adventurous, has become quite mainstream. Where will the next ‘emerging markets’ be? Certainly, the least accessible are in Africa – particularly sub-Sahara countries such as Nigeria, Kenya, Ghana and beyond. Most ‘African’ funds have significant exposure to South Africa (a market likely to have a very difficult year), Egypt (looking deeply unattractive despite political improvements) and Tunisia (facing significant political change). Companies in Sub Saharan countries (rather than North Africa or South Africa) have demonstrated a remarkable growth in profits, yet their valuations are sensible to low, despite sharp growth in recent years. They offer access to years of rapid economic growth, abundant natural wealth, an improving political landscape and a young, growing, urbanizing and increasingly educated middle class population. Savvy investors worldwide have taken an interest to investing in Africa, whilst those who have already benefited from the Africa story are anxious to ensure their hard earned fund are kept in a more mature market – London being the obvious favourite. Knightsbridge Wealth is anxious to ensure that its investment partners do not overlook the opportunities that Africa provides, and will ensure that its adventurous clients have access to this fascinating part of the World. It is also arranging a number of visits to Africa in the first half of 2014 to ensure local entrepreneurs have access to the highest standards of UK regulated advice. In the last issue of Update, we announced the launch of our Immigration service. Immigration advice is a key part of financial planning, giving clients the opportunity to obtain residency in more financially attractive, or more stable, economies than their own. We teamed up with a number of immigration lawyers and specialists who advise on selecting a jurisdiction, and then handling the application and securing residency rights. On 10th February 2014, Knightsbridge Wealth launches its Investor Visa Review Service, looking at four key areas: Risk, Performance, Fees and Compliance. It is imperative that the investment manager has robust systems and controls in place, understands the rules and monitor the investments to ensure that the client is successful in securing their visa. Knightsbridge Wealth will continually review its panel of companies to ensure high standards are maintained, as well as closely monitor each portfolio on which it advises to ensure it appropriately matches client requirements. Our strategic partnership with UBS (Union Bank of Switzerland) gives the best of both worlds – personal service and the ability to react in a way that only a small fi rm can, partnered by one of the world’s most prestigious brands. Knightsbridge Wealth is committed to providing unbiased, independent and personalized advice, customized to its clients’ specific needs. In January, it launched its WiseWealth process. 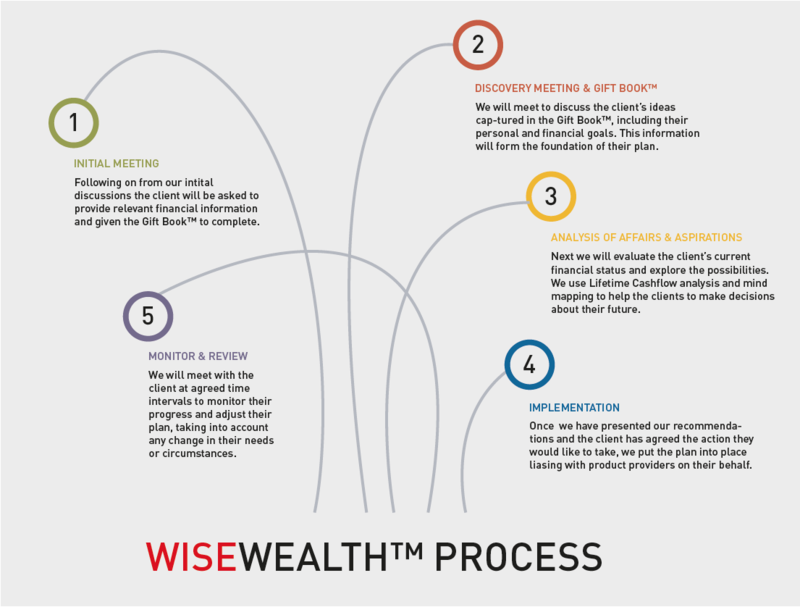 As part of the WiseWealth process, clients are provided with a workbook, called the GiftBook, to capture what really matters in their financial planning. Stuart Poonawala, Founding Partner explains “Traditionally, gift books were 19th century books. They were often lavishly decorated, collecting essays, short fiction and poetry. Printed with the date of the coming year, they were intended to be given away rather than read by the purchaser. The GiftBook is designed to be forward-looking, helping clients to plan for their future. It will be reviewed with their adviser at least annually, to ensure their financial plan remains aligned to their personal objectives. Both Wise Wealth and Gift Book are trademarked services, created for the unique requirements of Knightsbridge Wealth, and its affiliated companies. Knightsbridge Wealth has now added a ‘news’ section to its website, which will be frequently updated by the Partners’ with news and information relevant to our clients. Visit https://www.knightsbridgewealth.co.uk/opinions/ and select ‘follow’ to be kept up to date. 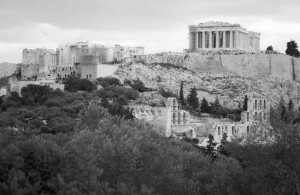 It is always a privilege to be in Athens – particularly when, for the fi rst time in a long time, there is an atmosphere of cautious optimism. Yesterday, Parliament approved its 2014 budget plan, announcing ¤3 billion austerity cuts and forecasting a return to growth next year. The usual political rally opposing any cuts attracted only a few hundred people – a shadow of former demonstrations where tens of thousands took to the streets of Athens to protest the belt-tightening. Totally UK is a magazine published by Ismay New Media in Hong Kong. Its connections with Mainland China dates back to 1987 when it fi rst started publishing there. It was the first independent English language publisher producing up-market travel and expatriate publications and a daily free Chinese newspaper. It has created a number of communication channels to promote British interests to a wealthy, targeted readership of High Net Worth Chinese. Totally UK is a glossy, high quality magazine, circulated to 60,000 of China’s newly wealthy and middle classes. They require sound advice on property, on schooling, on immigration and investment matters. Its reach is exactly the profile of a Knightsbridge Wealth client and we are pleased to be featured in their most recent publication. See page 107 on the link below.